The guessing game is finally over. The Ontario Gaming and Lottery Corporation (OLG) has named the new operator for its North and Southwest Ontario casinos. As most who followed the story could have predicted, the winning bid came from Gateway Casinos and Entertainment Limited. It was a long and grueling process that took more than three years to accomplish as numerous operators competed for the title. But in the end, experience and expertise won out as OLG awarded Gateway control of nine of its existing Ontario casinos, as well as the rights to build two new casinos. OLG President and CEO, Stephen Rigby was excited to finally reveal the winner of the province’s casino bundles. “Today’s announcement of a service provider for the North and Southwest Gaming Bundles is a significant step forward in OLG’s modernization,” he said. Gateway Casinos CEO Tony Santo was equally pleased to comment on the massive new casinos contract with OLG. “We are very excited and pleased to partner with OLG in the modernization of Ontario’s gaming industry,” said Santo. 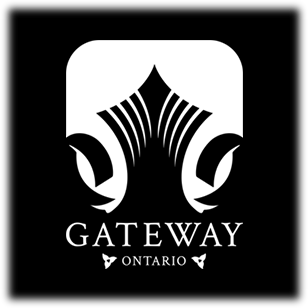 Gateway Casinos and Entertainment is a vast, trusted name in gaming throughout Canada. Established in 1992, the company already operates a dozen gaming facilities across Alberta and British Columbia, including Cascades Casino in Langley City and the Grand Villa Casino in Edmonton. The two new casinos are slated for future construction in N4 and N5 gaming zones, which would place them in the areas of Kenora and North Bay. The OLG is still ironing out the details of those proposals, and nothing is set in stone yet, but negotiations are progressing relatively smoothly. While Gateway assumes all day to day operations of its new casinos, OLG will still be responsible for maintaining backend management of all gaming mechanisms within the bundles. OLG will also continue to control player data, distribution of funds to host communities, and oversight of regulatory compliance.